120/240 Volts | 1,500 Watts | 4800BTU / 9200BTU Heater w/ Fan. Floating on-screen LED display allows you to view temperature settings and functions easily. Different presets of ambient lighting color combinations contained in the unit and option for personalized color setting. 30min/8hr sleep timer as well as a child lock. Eco Setting. 2Yr Ltd Manufacturer’s Warranty. 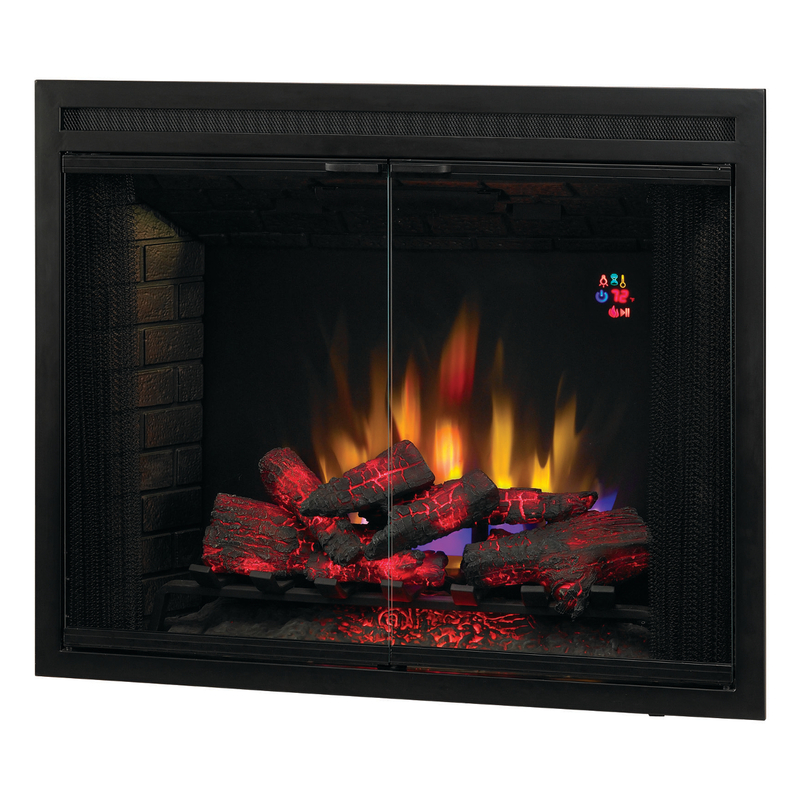 The traditional style Classic Flame 39EB500GRS Builder’s Box Electric Fireplace Insert with realistic resin logs and ember bed has SpectraFire blue flame effect brightness settings or traditional flame effect options without venting or gas lines. Dual voltage technology allows this unit to be used for 120 or 240 volt applications and the electronics have a memory and can be wired to a switch. A patented front access system allows for easy component maintenance, the panel simply unlocks and flips down to expose all components for complete front serviceability. With operable doors and a mesh pull screen, this fireplace features a realistic look.